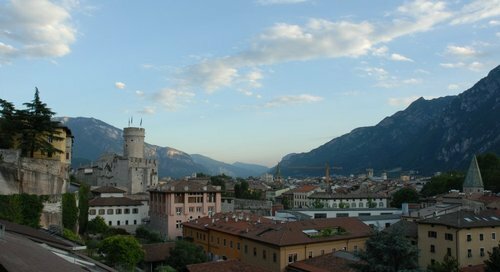 In 3 days and about 5 hours, I decided to pack up my life and move to Trento, Italy for the next 6 months. It’s the most spontaneous thing I’ve ever done. Surprisingly, I’m pretty calm about this. That makes me feel even more certain that it’s the right thing to do. It endorses and encourages lean methodologies. If you haven’t noticed by now, I’m a fan of that. It’s in Italy. I’ve been to Italy twice, and took Italian classes in college. I love the food, the culture, and of course, the wine. I never got a chance to practice my Italian skills, so I’m hoping to come back eloquently speaking the language of amore. I think learning different languages is important. I’m excited to work with people from all over the globe. Sometimes we New Yorkers get so wrapped up in our lives that we forget there are other cultures and other ways of living. We’re thought of as the “epicenter of the world”, whatever that means. The world’s a big place; I want to break out of my comfort zone, learn how other people work, and fully embrace new friends. I am ready to start learning and building. I learn from doing. I’ve always wanted to start my own company, and this is a perfect opportunity to work on something that I have been pondering for a while. I’m approaching this as a learning experience. I don’t expect to come back with the next Facebook, but I think going through the program and meeting the people involved will be worth more than that. Hey, if we do come up with the next big thing, then that’s awesome. If not, at least I’ll have some great connections and I’ll be 50 pounds heavier (they appreciated that in Ancient Rome, just sayin’). I’m going to give it my all, but I’ve learned not to be crushed if your idea doesn’t work out. I will be documenting my journey on this blog. After some rallying from some fellow Techpeakers (whom I already like) Oscar is coming with me, and will be securing a EU pet passport. He will need some fancier sweaters if he wants to fit in with all the Italian dogs.